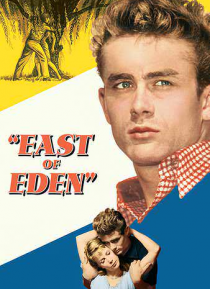 Hollywood legend James Dean stars in this adaptation of John Steinbeck's classic novel East of Eden. Teenage Cal Trask (Dean) longs for the affection that his father reserves for his brother Aron, but his efforts meet only rejection. Also attracted to Aron's girlfriend, Cal becomes so frustrated in his search for love and acceptance that he reveals a long-held secret about their mother to Aron - k… nowledge that now tears the family apart.